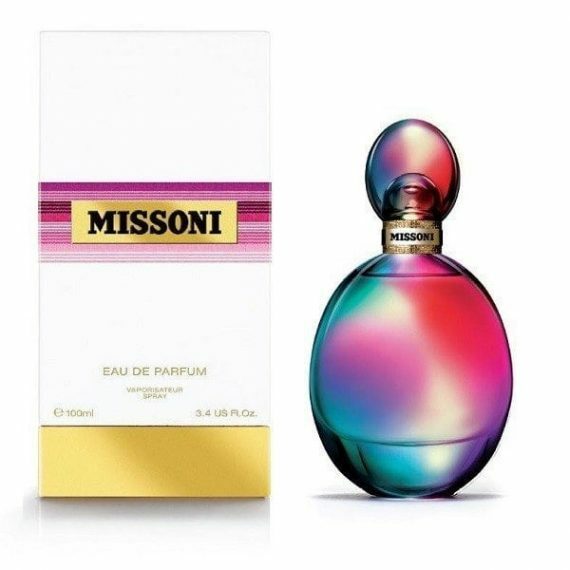 Missoni by Missoni is a floral fruity woody feminine Eau de Parfum with top notes of Lemon, Bergamot, “Pomme d’Amour” Citron and Pear. The middle notes are Mahonial, Petalia, Jasminum and Sambac with a base of Ambrosia, Tonka Bean and Sandalwood notes. It is a sensual perfume for a confident and charming woman. The predominant note is Pear and the fragrance lasts well on the skin. 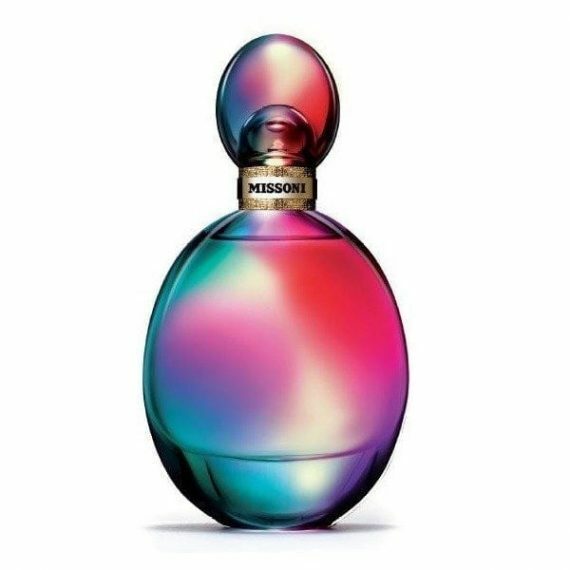 The scent comes in a stylish colorful flacon and is available in to buy in three sizes of Eau De Parfum – 30ml, 50ml and 100ml.